For a secure box, you should tape the seam on the bottom, and run a piece of tape perpendicular to that seam. Pad the bottom and sides of the box with paper. Depending on what you’re packing, you should wrap each item with paper. When you’ve filled the box to capacity, tape it shut and label it with its contents. Be sure that you label the sides of the box, not the top of the box. Pack similar items together. It’s best that boxes are filled to the brim to keep them from collapsing. After you’ve filled a box, label it with what it contains and an arrow indicating which side is up. And of course, if it’s fragile, write that on the box as well. Plates are less likely to break if they’re standing on edge inside the box. You also need to wrap each plate in paper and include plenty of stuffing on the bottoms, sides and in the corners of the box. Put so much stuffing inside the box that the plates don’t have any room to shift around at all. Label them by the room and with a general description of the contents it contains. The label should be on the sides of the box, not on the top of the box. Don’t wait until the week before you move to start packing your things. There are some items you can pack a couple of months before a move. For example, pack up out-of-season clothes, holiday decorations, china, stemware, and books. Pack small items in large boxes and large items in small boxes. Books are the only exception. If you fill a big box with a bunch of small books, the weight is going to add up and the box is going to be too heavy to carry. Also, pack heavier items at the bottom of the box and lighter items toward the top of the box. Relocating your family can be exciting, but also stressful. Every family that moves experiences some loss, sadness, and apprehension. Use these pointers so your kids will feel at home faster. Prepare Them: Several experts say how you handle the time leading up to the move has a big impact on how easily your kids adapt. Don’t focus on what will be different, focus more on what will be the same i.e., furniture, clothes and most importantly their toys. 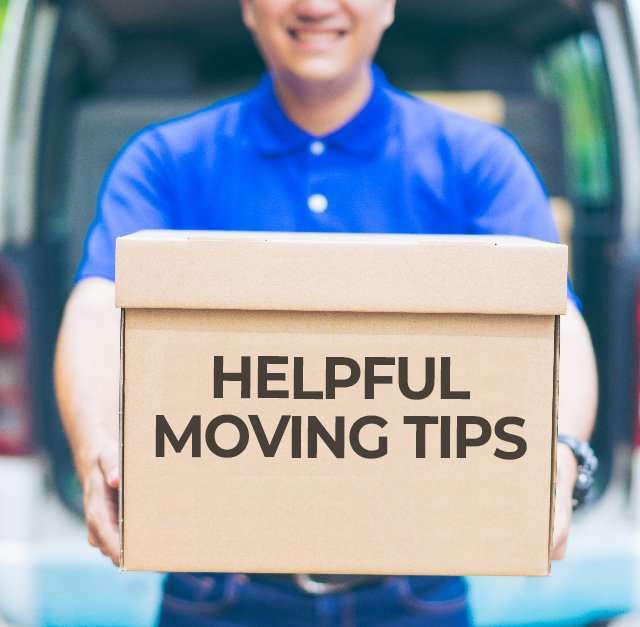 Understand their fear: Even if your children are excited about the move, it is still difficult especially if they are moving away from someone they love. All children accept things at their own pace. Most experts estimate that it takes at least six months for kids to fully acclimate to their new life. Set the right example: Your kids look to you, so be positive. Negativity rubs off on them, so watch what you say about your new home. Highlight all the good things about your new home so your kids will see them too. Stay on schedule: Maintain as many of your old routines as possible. Provide as much familiarity as possible: maintaining the same daily routines in the same order as often as you can. Let them decide: Let your children make some of the decisions especially about the layout and look of their bedrooms. If shopping for new bedding, window treatments ask them to weigh in. Get to know neighbors: Throw a housewarming party or reach out to your Facebook friends and see if your connections are also connected to a new neighbor. Make friends with other moms by arriving a little earlier to events/school. It gives you an opportunity to start conversations; volunteer to be a room parent or work the concession stand at the little league field. Practice social skills: Have kids practice how to start a conversation. If other kids are playing soccer teach your child to play. Let them know that wherever they go they will make friends but that it may take a little time. Remind them of past experiences when they easily made friends. It will give them the confidence to try. Remember nothing worth happening happens overnight. Be patient and you will “feel at home” in now time. Consider where you want to place furniture your new home. Start packing out-of-season clothing and other items you won’t need right away. Send a change-of-address email to any magazines you subscribe to. Start packing room by room. Get rid of items you’re not allowed to move, such as gasoline and propane. Consider hiring a plumber or electrician to disconnect appliances you plan to move. Disconnect any appliances you’ll be moving.